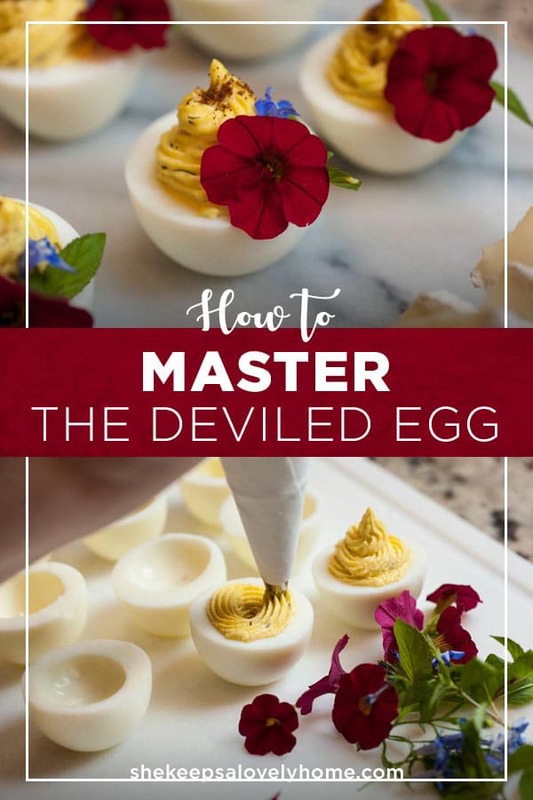 With this recipe, you’ll master the techniques of crafting the tastiest, elegantly classic deviled eggs from boiling, to peeling to garnishing with flair. 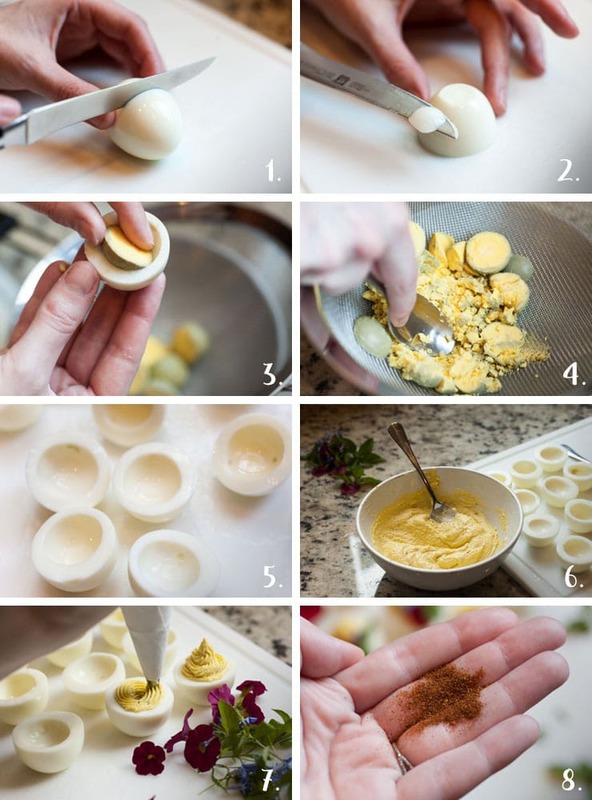 So grab your mixing bowl, a mesh strainer and 6 pretty little cage-free, organic eggs! 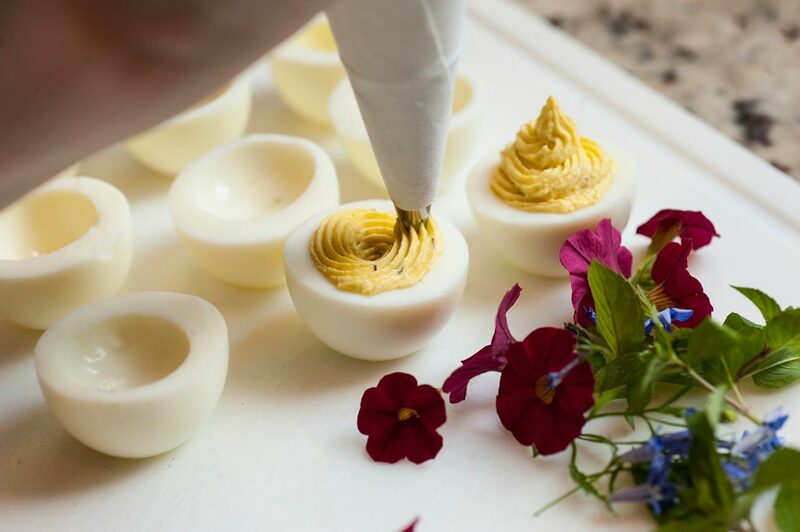 Let’s master the perfectly simple, perfectly fancy, classic deviled egg! Served with a single chive or dash of paprika, these tasty little treasures are fancy without much fuss – Though personally, I love going WAY overboard and turning each one into its own little 3 ring circus of bacon roses, pickles, multiple colors… you name it! But truth be told, they’re all just gussied up versions of my classic. 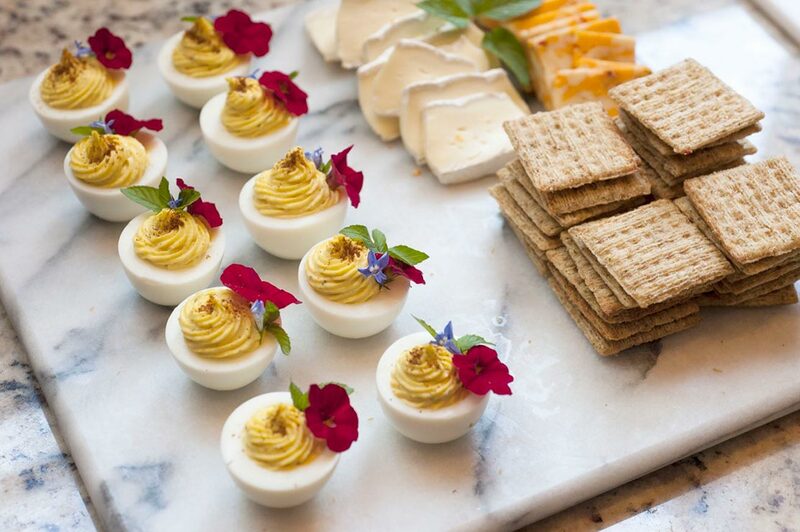 I had to learn how to perfect the simple deviled egg before adding any extra accoutrements. Once you’ve gotten this recipe mastered, you can always add other ingredients like dill mustard, Worcestershire sauce, Sriracha, old bay seasoning, curry, chipotle chili pepper, cayenne pepper, mustard caviar, baked cheese, rainbow colors, hash browns, sparklers! Go crazy! !… as long as it’s still tasty. That’s the very most important thing. A Few More Deviled Egg Recipes for When You’re Ready to Go Pro! 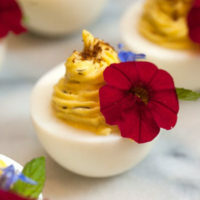 These classic deviled eggs are so tasty, so impressive and perfectly elegant. You’ll require a pot, a mesh strainer and mixing bowl for this recipe. You may also like to use a pastry piping bag with a fancy little tip. Wash and dry your eggs with a paper towel so the whites are perfectly tidy and picture perfect. Mix in your mayo, mustard and creamy horseradish with a few shakes of salt and a few shakes of fresh pepper. Once your ingredients are mixed, add your mixture to a pastry piping bag with a nice tip and fill your pretty little eggs. Garnish with smoked paprika, and serve.